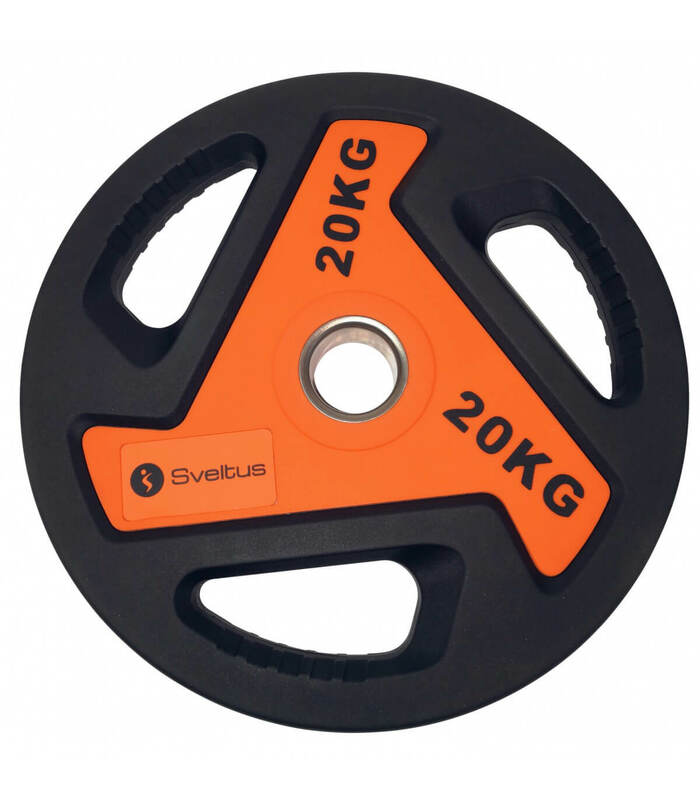 Designed for muscle strengthening and fi tness. great durability thanks to sturdy metal with polyurethane coating. Its 3 handles offer a good grip. They enable to change easily of weight and to do more exercises. Available in 2.5 kg, 5 kg, 10 kg and 20 kg. Diameter 50 mm. Internal ring made of steel. Compatible with Olympic bar.